Vanessa made crafts and sold them to raise money for NAMI, the National Alliance on Mental Illness. She also collected scarves for the homeless and tied them around trees in downtown Minneapolis. Two students worked with local Starbucks managers to get their coffee shops to compost and have clearer recycling signs. Two students brought dogs from a local shelter, Indigo Rescue, to campus during midterms to help students relieve stress. They also collected money for the shelter and raised awareness about dog adoption. Should this be the future of philosophy? The answer depends on what we think ‘philosophy’ is. Valentine claims that the job of philosophers is to help their students acquire “wisdom,” by which he means “the intelligence to live well.”3 But many subjects other than philosophy help students live well (e.g., accounting). Not all who live well are good philosophers and not all who live poorly are poor philosophers; hence philosophy is not “the intelligence to live well.” Philosophy, as I understand it, is theoretical—roughly, the use of reason to investigate fundamental questions that cannot be settled empirically: Does God exist? What do we know? What is morally right?, and so on. Service-learning enthusiasts in philosophy don’t disclaim theoretical learning, nor do they typically call for activism to be injected into nearly every philosophy course. Still they use language that subtly disparages purely intellectual pursuits. They speak, for example, of the need to bring philosophy into ‘real life’ and ‘the real world’ as if it currently takes place elsewhere.4 Consider again the term ‘Engaged Philosophy.’ Presumably, what makes Engaged Philosophy engaged are the students’ service projects. If so, then the implication is that philosophy classes without service projects are disengaged, or at least less fully engaged than those that have them. Engagement with ideas seemingly doesn’t count as genuine engagement. It is notoriously true that into whatever you do not put your whole heart and soul, in that you will not have much success. Now the two masters, theory and practice, you cannot [both] serve. That perfect balance of attention which is required for observing the system of things is utterly lost if human desires intervene, and all the more so the higher and holier those desires may be. Does this apply to disciplines outside of the sciences? There’s room for doubt. When investor Bill Miller donated 75 million dollars to the Johns Hopkins University philosophy department—the largest ever donation to a single philosophy department—philosopher Michael Huemer criticized him for not donating the money to a more effective cause (assuming that his goal, in giving to charity, was to do as much good as possible). According to the data at GiveWell.org, that sum of money, donated to a highly efficient charity, could have saved the lives of 25,000 extremely poor people. Hiring nine new philosophers won’t in all likelihood yield any comparable benefit. Here’s the rub: Huemer’s reasoning extends to every dollar invested into the humanities or pure mathematics, each and every one of which would, by the same logic, be (morally) better spent elsewhere. Imagine that it were possible to press a button that would reallocate all of this money to a GiveWell charity. In addition, all of the resources private individuals spend investigating these fields would be similarly redirected. Should a utilitarian like Peter Singer press this button? Doubtless, this would produce a short-term utility spike. But in the long term, I doubt that the bargain would be a good one even on utilitarian terms. If the reallocation were constant—so we’d never reinvest money into these fields—then pressing the button would amount to a cultural cashing-out. Whichever society did this would be intellectually diminished and its members might be less willing and able to come to the aid of others on a continuing basis. With no moral philosophers like Peter Singer around to persuade them of their duty to donate, people might forget why they are going through such trouble. Ultimately, then, some resources ought to be devoted to “curiosity-driven inquiry” in these fields—though it’s hard to say precisely how much. If we grant that philosophers have a legitimate role investigating purely theoretical questions, then they have reason to keep utility-based justifications for what they do, and especially politics, an arm’s length from their research. Philosopher Bas van der Vossen has argued that philosophers, at least those interested in political questions, have a prima facie duty to abstain from political activity.8 Philosophers’ primary charge is finding the truth and members of professions have duties to avoid things that make them predictably worse at their jobs. Empirical evidence exists that political involvement introduces biases that make the truth more difficult to discern. Hence, it is at odds with political philosophers’ professional duties. The best response to van der Vossen, I think—and it is one he considers—is to say that if philosophers do have a duty of this kind, then it isn’t a duty that matters very much. After all, it will frequently be in competition with stronger duties, such as the duty not to stand idly by as injustice occurs. Philosophers shouldn’t eschew political engagement altogether. But the weaker claim that philosophers should generally avoid doing philosophy and political activism at the same time is reasonable. We should, out of epistemic modesty, avoid combining investigation with tasks likely to introduce bias—paradigmatically, political activism. The same goes for pedagogy. If we had good evidence that service-learning is the best way to transmit philosophical ideas and methods, then the benefits would outweigh the risks. Four philosophers associated with the Engaged Philosophy website have published a pilot study that purports to show that philosophy courses with ‘civic engagement’ components have salutary effects.9 Students in service-learning classes, interviewed at the beginning and end of the semester, report gains in a variety of skills relevant to good citizenship. Qualitative analyses of students’ written final reflections supported these results. I anticipate the objection that my demand for rigor is selective, since we also lack empirical evidence that traditional methods work.11 But we already have good reason to think that traditional methods have something going for them. Those of us who have doctorates in philosophy acquired our expertise through years of reading, writing, and listening to lectures (which service-learning enthusiasts deride as ‘sage on the stage’ teaching). If all of this were bankrupt, then our expertise, and the expertise of those with PhDs in other disciplines taught in the same way, would be hard to explain. Since it evidently isn’t bankrupt, the onus is on those who claim to have something better. Even if service-learning classes have all the advantages enthusiasts claim, such classes should remain novelties. Integrating service-learning throughout the philosophy curriculum, as Valentine suggests, would likely accelerate the instrumentalization of higher education. Philosophers already face pressure—from administrators, politicians, and laypeople—to justify their discipline in terms of its economic. They shouldn’t want to find themselves facing similar pressure from within their own ranks. The anti-theoretical tone of the service-learning movement, implicit even in the rhetoric of moderates, makes this worry reasonable. The slope here really is slippery. If we accept that even 20 percent of a student’s grades should be service-based—on, say, the grounds that philosophy belongs in the ‘real world’—then the open question will be “Why not more?” Most university classes can be repurposed as ‘service-learning’ courses; only philosophy concerns the fundamental questions at its core. Diverting attention away from theoretical concerns in an effort to make philosophy ‘relevant’ will instead make it redundant and irrelevant. 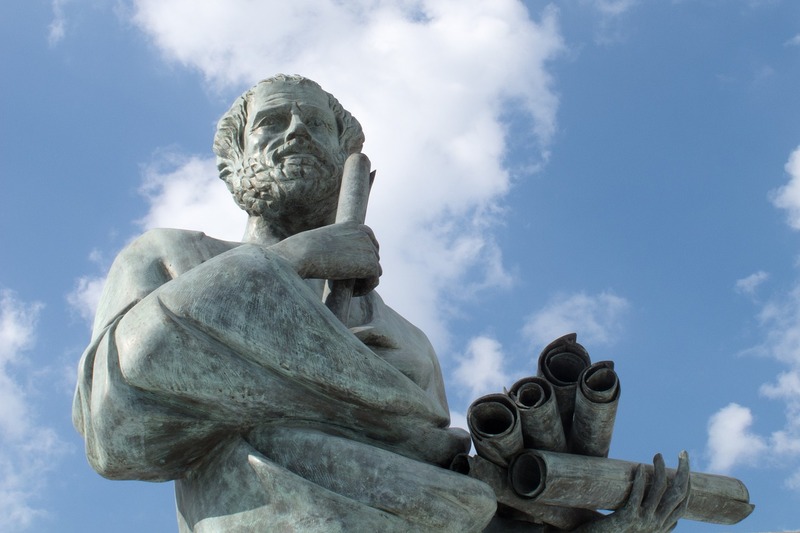 Pressing philosophy into public service would be a disservice to philosophy. 1 The advocates of Engaged Philosophy bill it as an alternative to service-learning because it is student directed. However, if service-learning (sometimes spelled with a hyphen, sometimes without) is simply pedagogy that involves service projects, then Engaged Philosophy is a form of service-learning. That is how I will be understanding the term here. 2 Valentine, Eugene J. “Service-Learning as Vehicle for Teaching Philosophy” in Beyond the Tower: Concepts and Models for Service-Learning in Philosophy. Ed. David C. Lisman. (Washington, DC: American Association for Higher Education, 2000), pp. 130. 4 For a typical example, see Peter Singer’s forward in Experiential Learning in Philosophy. Ed. J. Oxley and R. Ilea. (New York: Routledge UP, 2016), pp. xii-xiv. 5 Oxley, Julinna and Ramona Ilea, “Experiential Learning in Philosophy: Theory and Practice” in Experiential Learning in Philosophy, ed. by J. Oxley and R. Ilea. (New York: Routledge UP, 2016), p. 7. 6 Peirce, Charles Sanders. “Philosophy and the Conduct of Life” in The Essential Peirce Volume 2, ed. by The Peirce Edition Project (Bloomington, Ind. : Indiana University Press, 1998), p. 34. 9 Hawthorne, Susan, Monica Janzen, Ramona Ilea, and Chad Wiener “Assessing Student-Initiated Civic Engagement Projects in Philosophy Classes” in Experiential Learning in Philosophy, ed. by J. Oxley and R. Ilea. (New York: Routledge UP, 2016). 10 Another study cited on the Engaged Philosophy website is Lies, James M, Tonia Bock, and Jay Brandenberger. “The Effects Of Off-Campus Service Learning On The Moral Reasoning Of College Students.” Journal Of Moral Education 41.2 (2012): 189-199. This reports that service-learning students increased their average scores on tests psychologists say track development in moral thinking (a control-group of randomly-selected students from the same university did not). Perhaps these findings reflect well on service-learning in general, but they aren’t, and don’t purport to be, evidence that civic engagement enhances philosophical instruction. Thinking about ethics like an adult, though desirable in an ethics student, doesn’t imply any knowledge of ethical theory. By analogy, service-related learning in a mathematics class might increase critical thinking generally without conferring knowledge of the specific mathematical concepts and procedures central to the class. 11 Philosopher Neven Sesardić has argued in an essay for Quillette that although philosophy departments claim to increase their student’s critical thinking abilities, all they know is that philosophy majors tend to have good test scores. So nothing rules out the possibility that philosophy simply attracts smart students. Economist Bryan Caplan has also, in his book The Case Against Education: Why the Education System is a Waste of Time and Money (Princeton University Press, 2018), produced a lot of very dispiriting evidence about education generally. “Those of us who have doctorates in philosophy acquired our expertise through years of reading, writing, and listening to lectures (which service-learning enthusiasts deride as ‘sage on the stage’ teaching). If all of this were bankrupt, then our expertise, and the expertise of those with PhDs in other disciplines taught in the same way, would be hard to explain. Since it evidently isn’t bankrupt, the onus is on those who claim to have something better”. This final sentence begs the question. And without the final sentence the argument is circular. The same claims could be made by any “discipline” (e.g. postmodernism). “If we accept that even 20 percent of a student’s grades should be service-based—on, say, the grounds that philosophy belongs in the ‘real world’—then the open question will be ‘Why not more?’ “. Any necessary discontinuity (cut-off pregnancy length for abortion, age to be licensed to drive) requires a somewhat arbitrary cut-off point. These are arguments from a doctorate of philosophy? There really is a problem of adjudicating value in such things as the humanities. Part of the problem is de-ratcheting the already ratcheted pseudo disciplines (like theology – and I don’t mean the historical, psychological, literary, etc aspects of theology, I mean the cultish self-serving departments and institutions built around belief). The ratcheting is partly done by training new acolytes in the new fad, who will then go on to populate the departments (because they’ve not learnt anything that will allow them to thrive in the real world) and create more acolytes. Part of philosophy is built on a fetishisation of historical philosophers and of coolly seductive pretentious sophistry. The author is nobly trying to defuse a seductive new trend and avoid the ratcheting of this aspect of philosophy. Good luck. Someone needs to tell the children that there’s a huge difference between a vocation and avocation. You’re right that the author’s first defence is circular, as it stands. But I think you’re wrong that philosophy has a value problem—or that it has any more of a value problem than other academic discipline animated by the open-ended pursuit of knowledge. I offer an example leading to a general conclusion. Medieval philosophers spent a lot of time on defeasible (= “defeat-able”) reasoning, that is, arguments where the conclusions are only likely and might turn out to be false. Legal reasoning was one of their primary concerns. Defeasible reasoning was obscured for a time by the rise of formal or symbolic logic (e.g., Frege, DeMorgan, et al. ), but it made a comeback in the mid-twentieth century when it was formalized into to what’s nowadays called non-monotonic logic. “So what?” you ask. Well, it turns out that this kind of reasoning first analyzed by angel-counting medieval theologian-philosophers is just the sort of thing you need to make artificial intelligence work. Who knew? Put another way, justifying philosophy is hard because it’s hard to say what it is in the absence of concrete goal. It’s far easier to say what it’s not. Volunteering in a soup kitchen, for example, may well contribute to the public good, and I would even say that it would be valuable as a learning experience and that it’s an example of good citizenship. But learning civics by doing one’s civic duty has no more to do with doing philosophy than learning to use the potty. Thankyou, well said. Better than the author of the article above. I think the author is a tad defensive, but also correct in applying skepticism. However, I must admit, the general impulse, if not the specific implementation, sounds a bit like labs in science classes. Labs are intended to give students hands-on experience with science and scientific principles, to complement (not compete with) lectures, and to give students some skills in basic techniques. As in this case, labs can be fantastic learning experiences or awful wastes of time in which students just plow through cook-book experiments learning nothing, and everything in between. However, philosophy seems to lack the long tradition of such activities, so they’re starting from zero and having all the attendant “teething troubles”. Maybe I’m biased by coming from the sciences, where there’s usually a tight relationship between lab activites and lecture material (e.g. “We’re going to synthesize aldehydes, which you learned about this week”), these “service activities” don’t seem to have much clear relationship to the class, but rather a vague and nebulous one (perhaps even purely cosmetic). But that doesn’t mean the concept is flawed, just the implementation – I’ve seen some AWFUL scientific labs. I rather wonder if online debates / comment sections would be more useful? It doesn’t have the touchy-feely goodness of most of these activities, but seems more likely to connect to the course material in a way that reinforces it. I agree on the feeling of defensiveness seeping through this timely piece of writing. I found it quite interesting that in critiquing the idea of ‘Engaged Philosophy’ and ‘Service-Learning’ the author should reach out for tools developed by the scientific community rather than using philosophical methods. From my perspective, the vulnerability of the research in the pilot study is not the small sample size, but the failure to define exactly what is meant by a ‘good citizen’. After all, the ‘good citizen’ of Stalinist Russia is quite different to the ‘good citizen’ of Dayton Ohio or even of Nangalam Province in Afghanistan today. ‘Good’ is a relativity. Thus, the first requirement of philosophy is the accurate definition of the meaning we put in the terms we choose to use. The same can be said of the author’s approach to ‘injustice’ as being something that the ‘good’ philosopher should put aside their rational enquiry to resist. However, what is meant by ‘injustice’? Are we talking about the manifold minute injustices that occur on a daily basis in the lives of families, or the injustices of the pogrom? The other problem with injustice is of course that our entire existence is built up of big and small injustices inflicted and suffered as we are buffeted by life itself. We live in an inherently unjust and uncaring universe and we are specifically evolved to inflict and absorb injustice. Is this capacity to live as perpetrator and sufferer what makes us human? This is why the activist whispering about injustice in our ear is the modern equivalent of Satan whispering in Christ’s ear in the desert. The whispered messages are true, but they are truth used to pervert us from our commitments to the pursuit of understanding. For the activist, real understanding is the threat they fear most and the philosopher must remain on that narrow path of seeking real understanding and not succumb to the temptation to become ‘relevant’ and ‘useful’. The practical people who build our world and do our good for us cannot work without that understanding and they are too busy building to have the time for thinking. Yet, all of their endeavours are built upon a philosophical foundation supplied by thinkers. If the natural sciences have a lecture/lab combination, then the analogous combination in the humanities seems to be lecture/discussion. In each, the lecture part is someone telling you what has been done, and the second part is actually doing it. For natural sciences the “what has been done” is largely experiments, so doing it is of course doing experiments. (And observations, etc.) In philosophy, the “what has been done” is largely arguments. So doing it is making arguments as well. I’m sure the value theory parts of philosophy have rather direct applications in the world, but so does a lot of applied science. Yet, we do not see a push for natural science classes to become engineering classes. Applied science yes, but pure science not always Nichole, or never (deep sea biology). I wouldn’t know the usefulness of ontology, or phenomenology. Philosophers I like most (such as Heidegger) were rather unpractical and useless scholars. Though, their alumni (Hannah Arendt, Beauvoir) could turn that in a more applicable direction, of course. Begging the question and circularity are the same thing. Furthermore: the argument doesn’t beg the question. It alleges to establish that “service-learning” advocates have the burden of proof. The reasons for this conclusion are, roughly: *Philosophers (and similar academicians) have decent expertise; they have been trained in ordinary ways that don’t involve “service-learning; if such methods are “bankrupt,” then their expertise is difficult to explain. So ordinary methods apparently work fairly well. * So, etc. Not the strongest argument of all time, but ok. And more to the point: not circular. Perhaps it would be better to merely note that any radical proposal for change has a burden of proof. The proposal is awful, of course. It’s the latest part of a push to basically eliminate philosophy by turning it into something else–and something else that’s already being done to death elsewhere. Feminists want us to make philosophy more like women’s studies, the progressive left (including feminists) wants us to turn away from abstraction and toward social “justice” indoctrination…and the enthusiasm for “engagement” is, as Case notes, just another aspect of that push. The same as with culinary affairs and chef cooks, where fast food and Macs don’t suffice, import the continental talented in the field, quite an improvement, I guess. Einstein was also a famous immigrant, but whether that is also so with the hereditaries of the Frankfurter Schule and the Post modernists? That’s the question, of course, I think not, but once you decided, you have to proceed and pursue in some way or another. In Holland we say: -then you remain with the baked pears-. Yes, fair enough, begging the question is implicitly circular (but a particular kind of circularity). You seem to have then gone on to talk about a different argument about burden of proof being on those advocating for a change, but I was pointing out floors in the authors “proof” of value in the discipline as it stands. If he can’t provide proof, then I suggest he’s making an argument for ratcheting down the self-supporting cabal. But I bow to your obviously greater wisdom here, and support your fight to keep philosophy philosophy. But my perspective is that philosophy is already overblown. There may be an analogy here to a (currently) relatively benign religion being a vaccine against a different, (currently) less benign religion. I think, pragmatism is the very core of all US philosophy (Dewey, Rawls,James), that’s their only strength. In Europe (but also Asia), abstrahism and transcendentalism is more valued. A sad but not unsurprising development. Philosophy is the last bastion of reason in the humanities—the walls battered and a few breaches, but the city’s not overrun yet. The fact that such a ridiculous proposal has any legs at all isn’t good sign, though. The specious reasoning reminds me of Plato’s Euthydemus: Some degrees give credit for work placements; activism is a kind of work; therefore, philosophy should give credit for activism. I’m surprised no one suggested quantifying marks with numbers of windows smashed and “Nazis” punched. Activism or volunteering or community work is no more relevant to philosophy than it is to mathematics or chemistry, though it seems to have been stitched up with the same fourth-rate casuistry: Marx said doing philosophy involves changing the world; smashing windows changes the world; therefore, smashing windows is doing philosophy. Maybe there can be a Jordan Peterson version where changing your underwear is changing your world and, therefore, changing your underwear is doing philosophy. I don’t see why not. Interesting aside. I recently read a breakdown of GRE and LSAT scores by degree. Turns out philosophers finish at the top overall (physicists came second), and philosophers score highest on verbal and spatial. Only a few hard science and engineering degrees beat them on quantitative reasoning, though you’d be surprised how few. I recall that philosophers beat statisticians, for example, on quantitative reasoning, which is kind of funny. Being a philosopher myself, I’m not much good at anything other than tests. Embedding hyperlinks is beyond my ken. But i found it again at Daily Nous (http://dailynous.com/value-of-philosophy/charts-and-graphs/). Since I don’t take this all that seriously I didn’t check it again before writing. Turns out I misremembered some of the details, but my overall report was accurate. This is such a sad essay in so many ways it is difficult to know where to start but I suppose the first sentence is as good a place as any. Karl Marx was not a philosopher no matter how many times philosophy or political science professors claim that he was. The reasons are many but the main point would reflect the shallowness of Marx’s psychological analysis that fails to encompass the breadth of humanity’s diversity of soul. As such he is more properly thought of as a variety of sociologist with an emphasis on economics. A philosopher discovers and creates; a sociologist observes and measures. This is cursory, of course, but important because of the old adage that “the high is capable of understanding the low but the low cannot understand the high”. Since philosophers represent the highest form of humanity as the most complete version of a rational being – a definition tracing back to Aristotle – this is offered as a quick and dirty observation that Marx didn’t have a clue what he was talking about with the above claim. The other point I would like to make concerns the use of the word ‘philosopher’. I have seen academics who work in philosophy departments refer to themselves in this manner on several occasions in articles on this platform. It is probably just me but I find this self designation demeaning to the tradition. A philosopher is a giant amongst men. A person whose strength of mind is so great as to fully escape the prejudices, misunderstandings, myths and foibles of their time and place. They are the great minds whose seminal thought transforms humanity’s interpretation of their subject matter. They are an exception rarely seen in any single generation. The furthest point on the bell curve of rational beings. This does not describe the dusty and mundane teachings encouraged and rewarded in academic settings. Whenever I see somebody self-identify as a philosopher I have to admit my immediate reaction to their writings is less than charitable. Of course, def, a distinction is needed between the real philosophers, and the philosophy teachers and scholars. Of that first category, there are or have been about 10 in the New World (though, if you are very strict, maybe none), and some 100 in Europe and Mid East. Of that second category, there might now be 10.000 or over, globally. Perhaps the problem stems from the cultures desire to constantly specialize, narrowing down again and again. The “philosopher” you describe has never existed and will likely never exist. You’re fetishizing flawed individuals as perfect beings, not very rational it would seem. Of course the fact that you cling so tightly to reason is another flag giving us some idea about your own foundational biases. It doesn’t matter how flowery or eloquent you want to put things, all those you hold up are ignorant, but a particularly dangerous ignorance, one that allowed them to believe they were not, one that allows others to insist on their correctness. Previous PostWhat Is the Tribe of the Anti-Tribalists?